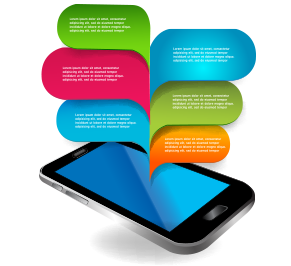 A fundamental aspect of Gaia Mobile platform is the content that users see in the App. Gaia Publisher – our content management system, a powerful tool in which you can manage complex data structure, data collections, app menus and more. If your site is based on WordPress, we can pull your data with our special plug-in. You can provide us RSS based data feeds. When all the above is absent, we provide a customized gateway to your data. Gaia Monitor pulls the data feeds from different channels. The monitoring frequency can be configured based on your business needs. The incoming data feeds contain data units (i.e. Articles). Each data unit is broken down to multiple data tags like Title, description, picture and many more. Gaia platform supports a wide variety of data types such plain texts, HTML texts, hyperlinks, dates, pictures, Video, Audio, eCommerce properties, PDF and ePub books. Data feeds can contain complex hierarchical data structures (i.e. Video library with series, seasons and episodes). Special attention is given to data collections that classify groups of data. Each data unit can be associated with multiple data collections. Data collections are used to filter and sort the data of the App. Using Gaia Publisher, the client can control the App menus, special links and other special App data and services. A crucial factor for Apps is the fast and smooth display of the information no matter how large it is. To provide the users with the best experience, Gaia Cloud analyzes the data and then prepares an optimized data structure for the App. Even if your App has a great deal of data, we guarantee the best experience for your users while navigating between app pages.